Ikea also plans to provide 400 million euros in funding to support disadvantage communities most impacted by climate change. 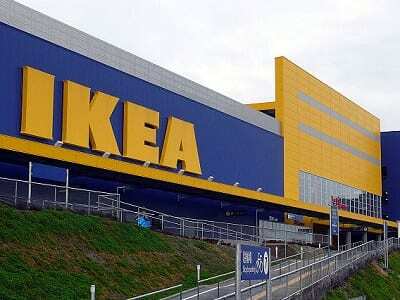 The world’s largest furniture retailer has announced that it intends to spend 1 billion euros ($1.13 billion) on renewables and on an IKEA Foundation funding commitment to help nations in need of support cope with climate change. The announcement coincides with a fundamental meeting in Bonn, where governments are getting ready for the negotiation of a global climate agreement at the COP21 meeting that will take place in Paris this December. The investment will not increase prices at IKEA stores. Peter Agnefjall, the President and CEO of IKEA Group, told Reuters that the company’s plans to invest in renewable energy would not jack up the prices at their stores. He said that the investment will be good for customers, the climate, and IKEA. IKEA is on track to reach its renewables goal. By 2020, IKEA wants all the energy that is used in its stores and factories to be generated from clean sources. The Swedish company’s 600 million euros investment on wind and solar power installations will add to the already 1.5 billion it invested since 2009. The company has made the commitment to own and operate 314 offsite wind turbines and has installed 700,000 solar panels on the roofs of its buildings. Most of the investment (500 million) will be invested in wind, while the remaining 100 is likely to be invested in solar. The company is on target to becoming energy independent. In addition to its focus on renewables, programs funded by the IKEA Foundation have also assisted over 178 million children around the world since 2009. The new 400 million euros in funding will help strengthen poor communities against the impacts of climate change, such as floods, droughts, and desertification. It will improve the lives of families and children through the adoption of renewable energy, as well as technologies in homes, businesses, and schools.